ERASMUS+ is the European Union’s program for education, training, youth and sports. The Key Action 1, provides support for young people to acquire essential skills for their personal and professional development through non-formal and informal education, and enhances the role of workers and organizations by promoting mobility and cooperation in the field of youth. 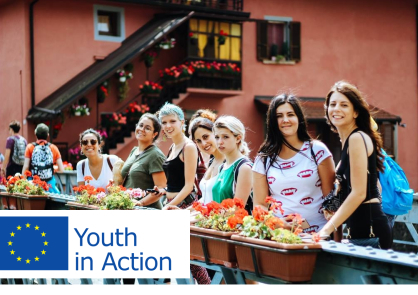 The European Commission recognizes the experience and knowledge acquired, through non-formal education, during the development of projects funded by Erasmus+: Youth in Action, through the Youthpass certificate. Youth Exchanges offers to a groups of young people, from different countries, the opportunity to learn more about their respective cultures. The groups will be able to plan together the exchange around a topic of mutual interest. How long are the activities and what requirements should the young participants have? The activities last from 5 to 21 days. Participants are young people between 13 and 30 years old. The minimum number of participants will be 16 and the maximum 60 (not including group leaders). Each group will have at least 4 members, excluding group leaders.